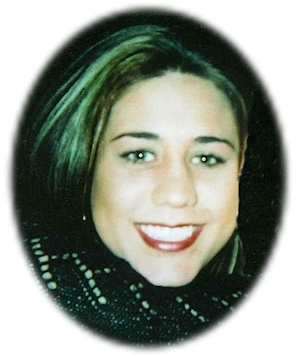 Obituary – Harman, Ashley Ann « Perry High School Alumni Association, Inc.
Ashley Harman, 23, of Perry, Oklahoma, was the daughter of Max Lee and Shelly Alfred (Wolleson) Harman. She was born April 12, 1982 in Perry, Oklahoma and died Monday, March 6, 2006 at Deaconess Hospital in Oklahoma City, Oklahoma. Ashley enjoyed shopping, talking on her cell phone and swimming. Her other interests included flying, traveling, going to Ruidoso, New Mexico and going out to dinner. Ashley enjoyed life and her friends. Graveside services will be at 2:00 p.m. Friday, March 10, 2006 in the Grace Hill Memorial Pavilion at Grace Hill Cemetery in Perry. Rev. Ed Cook will officiate. Services are under the direction of Brown-Dugger Funeral Home. Memorials may be made to the First United Methodist Church or the Soup Kitchen in care of Brown-Dugger Funeral Home, 1010 N. 7th Street, Perry, Oklahoma 73077. 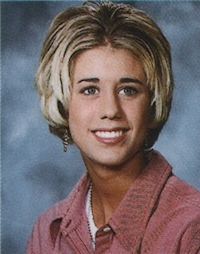 Survivors are her mother, Shelly Harman, of Perry, Oklahoma, her father, Max Harman, of Billings, Oklahoma; two brothers, Aaron Harman and his wife, Amy, of Broken Arrow, Oklahoma, and Austin Harman, of Stillwater, Oklahoma; two half-brothers, Gunner Harman and Heath Harman and his wife, Ashley, all of Stillwater, Oklahoma; her paternal grandmother, Karen Harman, of Billings, Oklahoma; one niece, one nephew, special friends, Colin and Marcy Lewellen, of Perry, Oklahoma; and a host of special friends. She was preceded in death by one sister, Ali Michelle, her maternal grandfather and grandmother, Budd and Dorothy Wolleson, and her paternal grandfather.